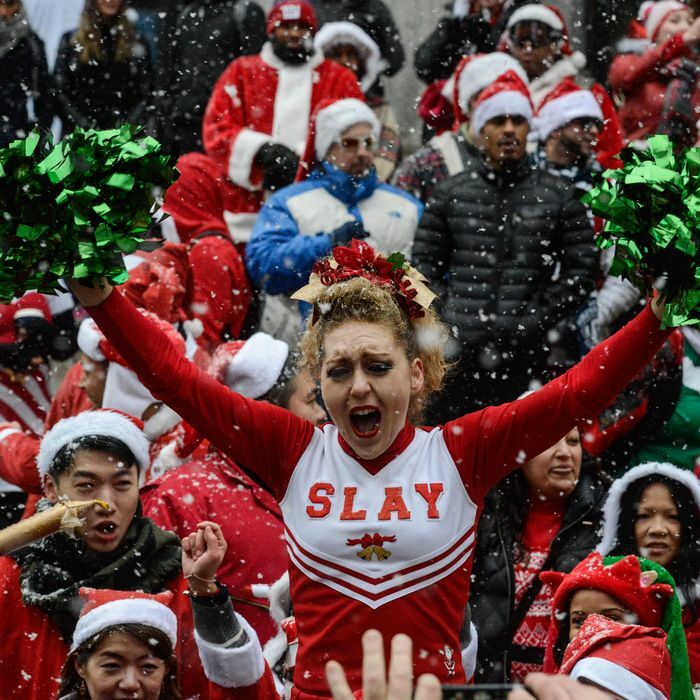 This Saturday, reviled pub-crawl SantaCon will return to New York City and with it will come hundreds of people from Connecticut, New Jersey, Long Island, and within the city who want to participate. Accordingly, the Long Island Railroad, New Jersey Transit, and Metro-North have all banned passengers from drinking aboard trains on Saturday, with NJ Transit going to an even further extreme and banning all beverages regardless of their alcohol content or lack thereof. (Violators will receive a summons and fine.) The MTA, meanwhile, has banned drinking on the subway during SantaCon for the last five years. As for the rest of us, avoid certain parts of Manhattan at all costs (Midtown, Murray Hill, Kips Bay, and the East Village) and wait until the storm has passed.